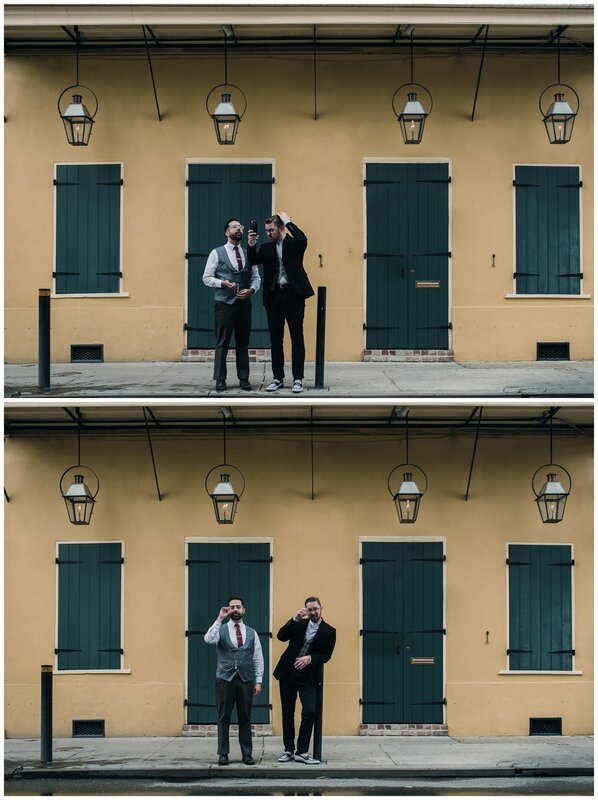 When Jeff and Max reached out to me wanting a very New Orleans engagement session, I was dying with excitement. 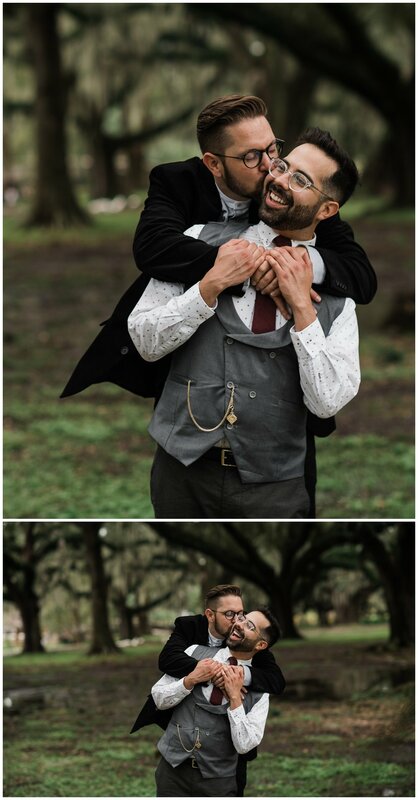 When we first started to talk about our session together I asked their Instagram handles. About 80% of my clients currently come from out of town and my only way to get to know them from afar is through social media. 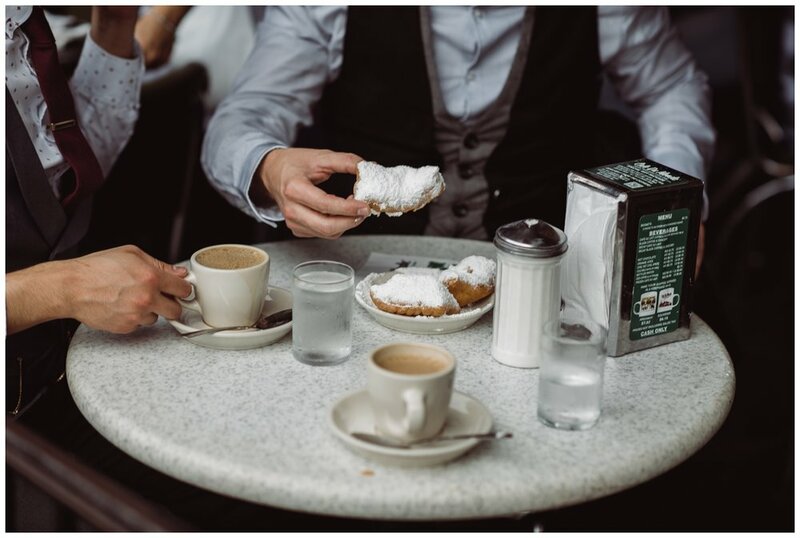 I treat my clients like old friends and love getting to know them before we ever meet face-to-face. There is something SO magical when I really click with my couple and we get to work. 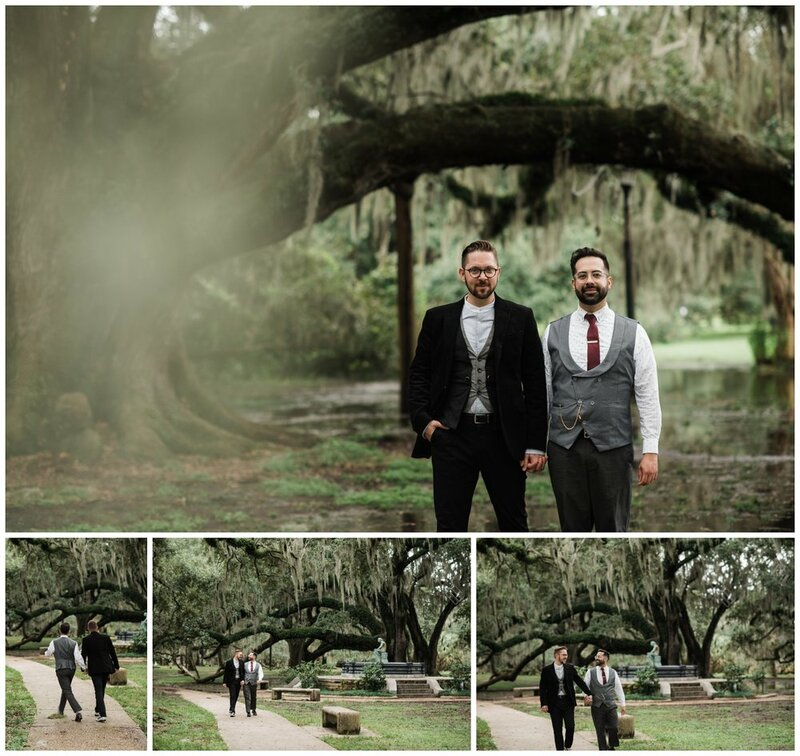 Following my couples on social media really helps with the chemistry and it shows in our photos! Looking through these, can’t you just tell how much fun we had together! I love that my clients are mostly tourists in my city and that I get to show them around for an hour or two. After spending an evening running around, acting goofy and taking photos together, many of my couples often leave as friends. 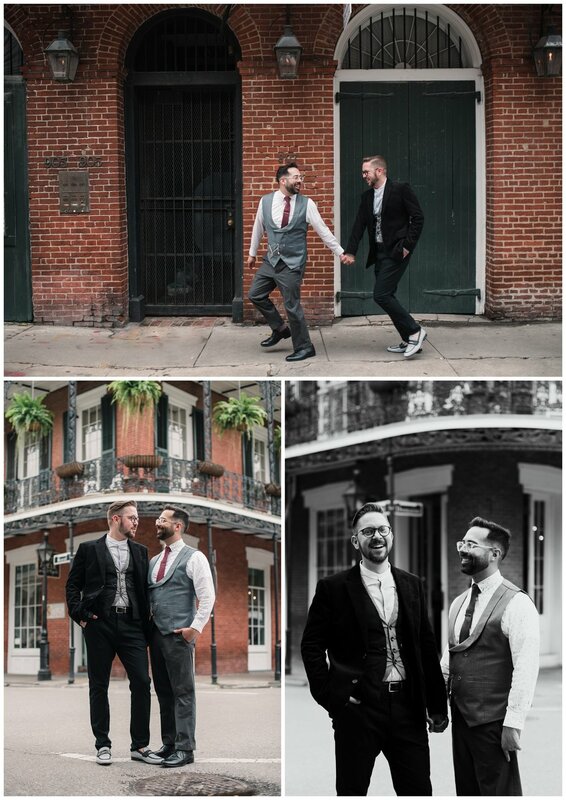 I really am lucky to have the COOLEST clients and many I stay in touch with long after we shoot together. 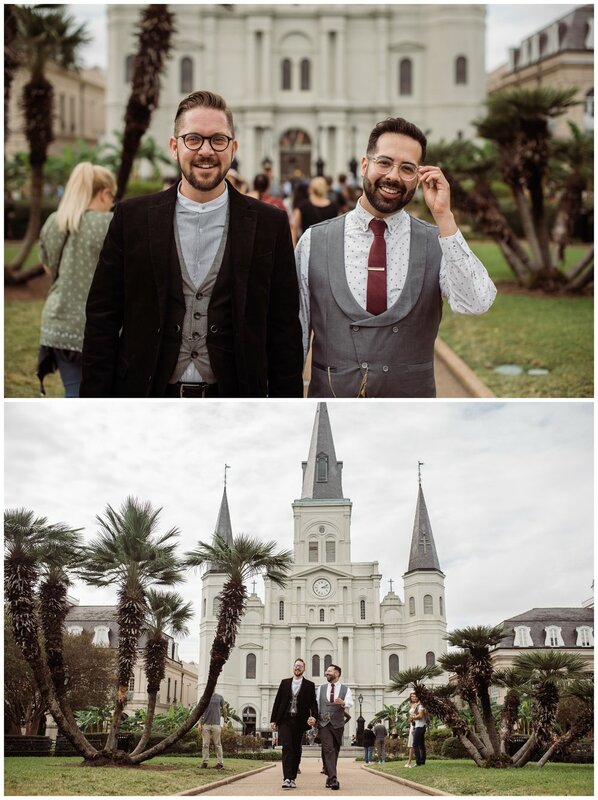 Max and Jeff live in Salt Lake City, Utah and are planning a spring brunch wedding in 2019. 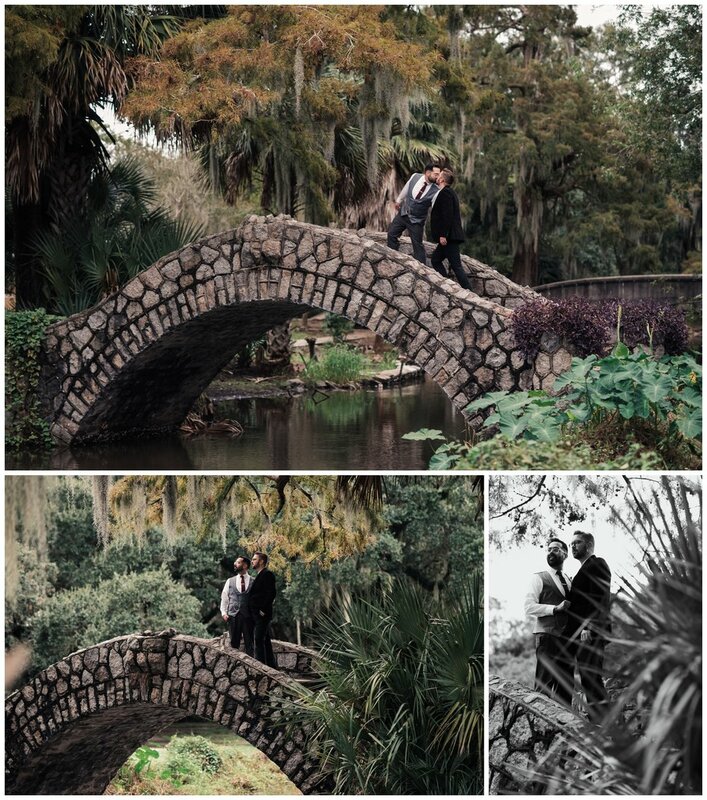 I was so honored that they chose to spend an evening of their vacation running around, doing my silly pose ideas and getting some great photos. 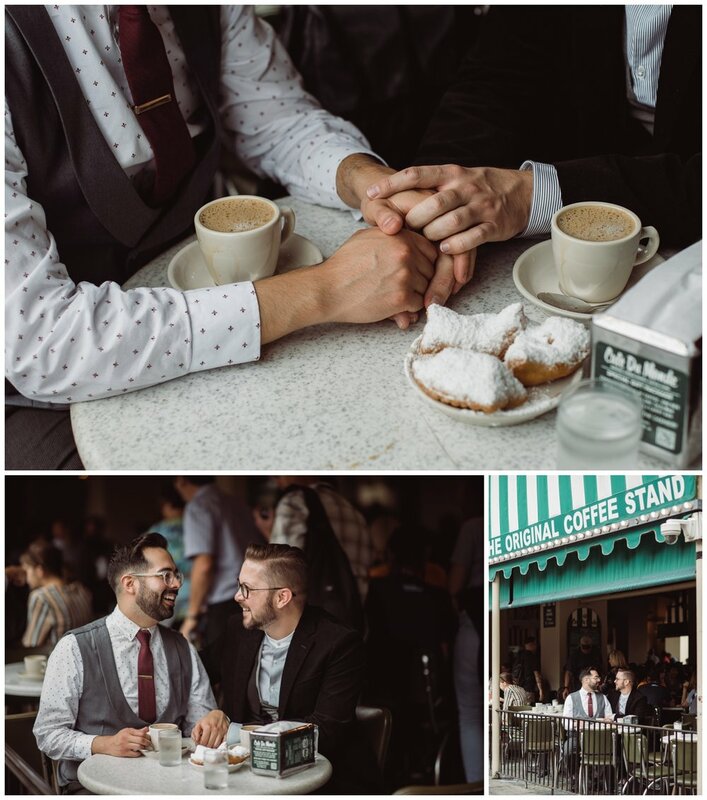 A New Orleans Engagement session to all the sites! Instagram is really where the fun is happening. Follow along! Heya! Can I share a few secrets? I send out my best posing and planning tips, as well as the occasional love letter, right to your inbox. Aint nobody got time for spam and neither do I.